In London it is still freezing cold! After a wonderful Christmas and New Year break in sunny Antalya with my family, coming back to the winter freeze has definitely been a wake up call that we are still in the dark freezing months. After a long day outdoors, be it at school or work or shopping, what we want most is a warming dish of deliciousness to warm us inside and out. 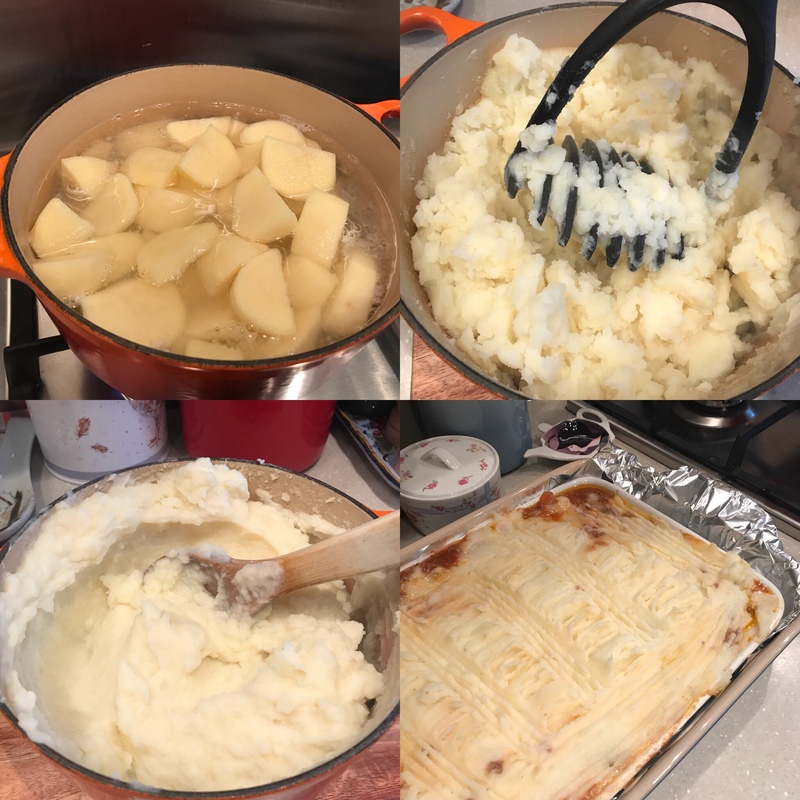 Comfort foods have always been a favourite of mine, they are potatoes, meat, veggies, and made even yummier with some butter. 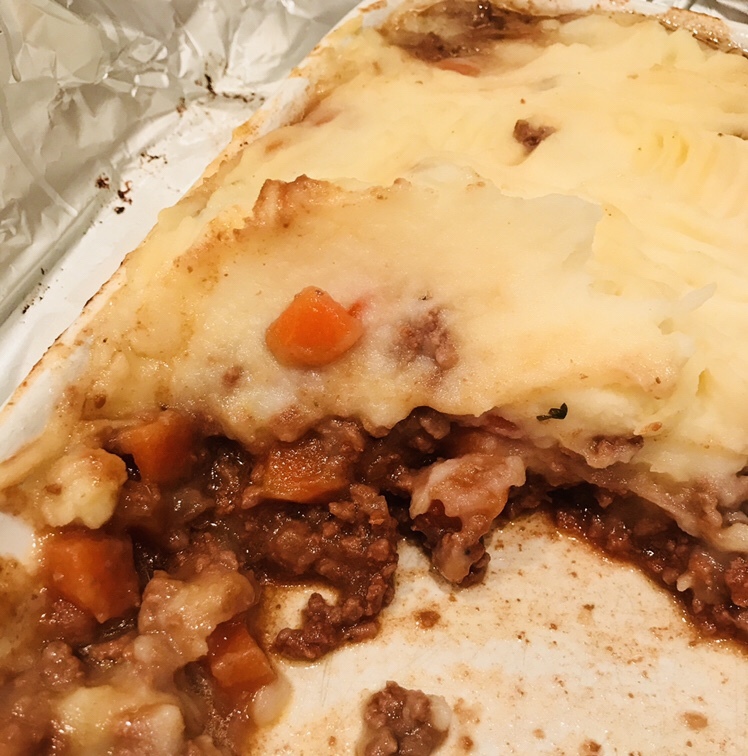 Shepherds Pie has always been a favourite of mine since I was little. My mother is the ultimate cook and she makes an amazing Shepherds Pie. Here is my version of her delicious delight. I just prepared it and Ive put it in the fridge. So when my boys get home from school all I need to do is pop it in the oven. Not only will it be a homemade nutritious meal but it will warm them up in this freezing weather. Its a win-win situation! In a heavy bottomed pot heat the olive oil, add the chopped onions and chopped carrots. Fry over a medium heat until tender. Add the minced beef, and cook with the veggies. Add the Worcester sauce, sugar and tomato puree. Mix until cooked through. Add 500ml of beef stock, mix well and leave to simmer over a low heat for 30mins. Meanwhile peel, cut into chunks and boil the potatoes until tender. Drain the water, mash with a fork or potato masher. Add butter and warm milk until it is soft, smooth and creamy. 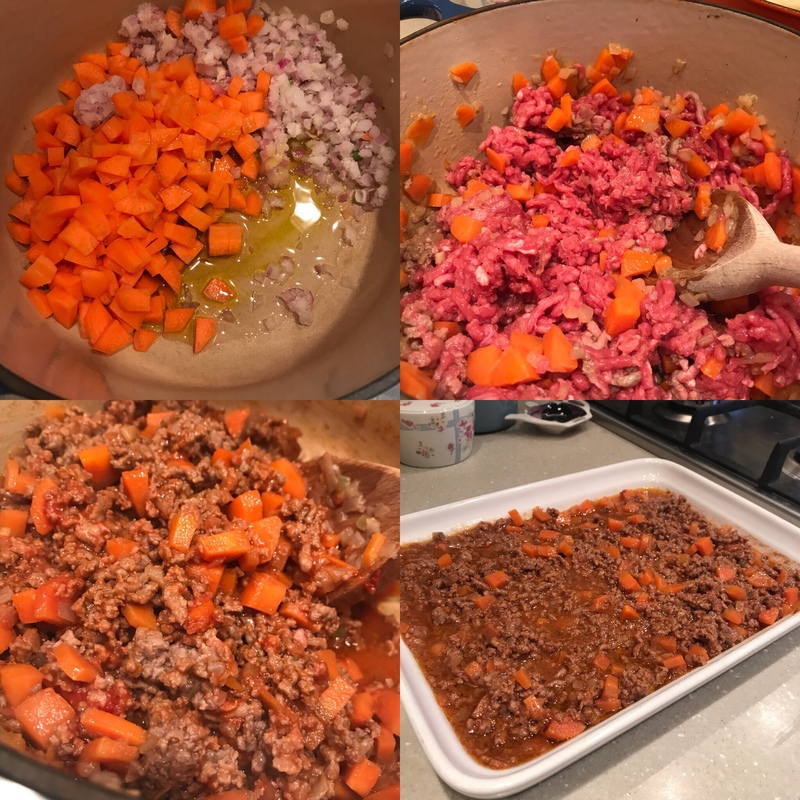 Gently spoon the beef mixture into a deep overproof dish. Spoon over the mashed potatoes until all the meat is evenly covered. With a fork ruffle the mashed potato. Bake in the oven for 20-25minutes at 180 degrees Celsius under the mash starts to colour and the meat is bubbling. Mmmmmmmm so yummy, serve piping hot! Enjoy!